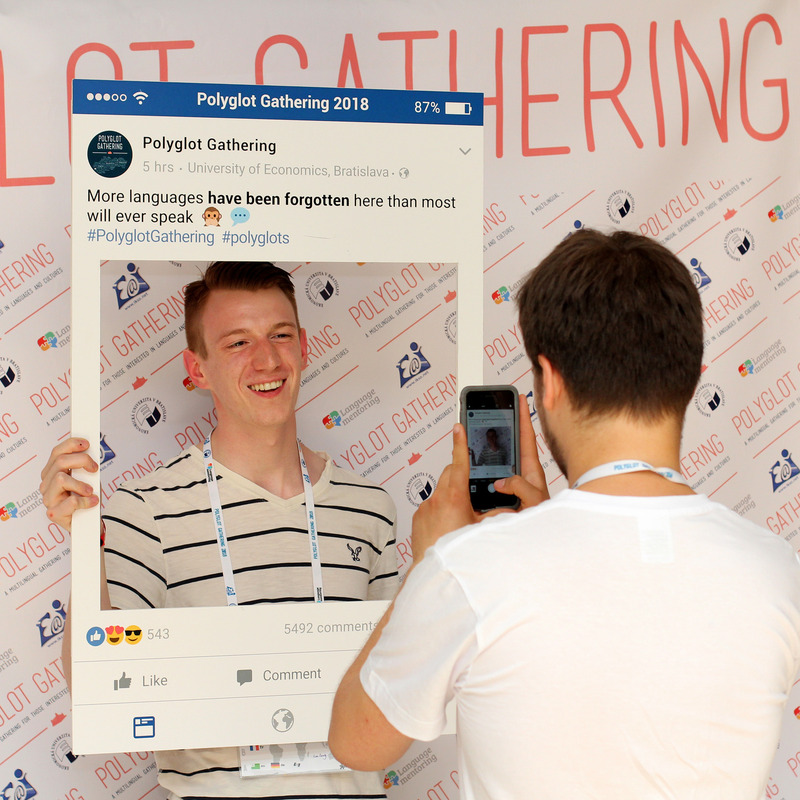 In June 2017, the Polyglot Gathering moved from Berlin to another location for the first time since its existence. 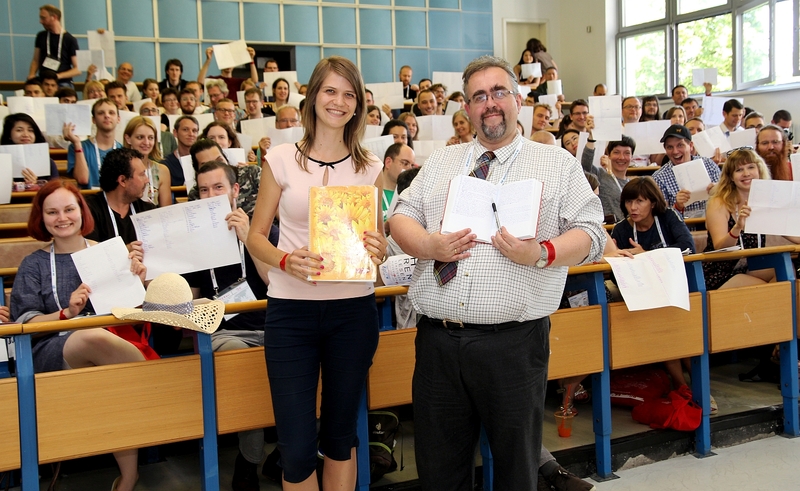 Polyglots gathered in the beautiful “big small city” of Bratislava, Slovakia. In 2018, they met again. 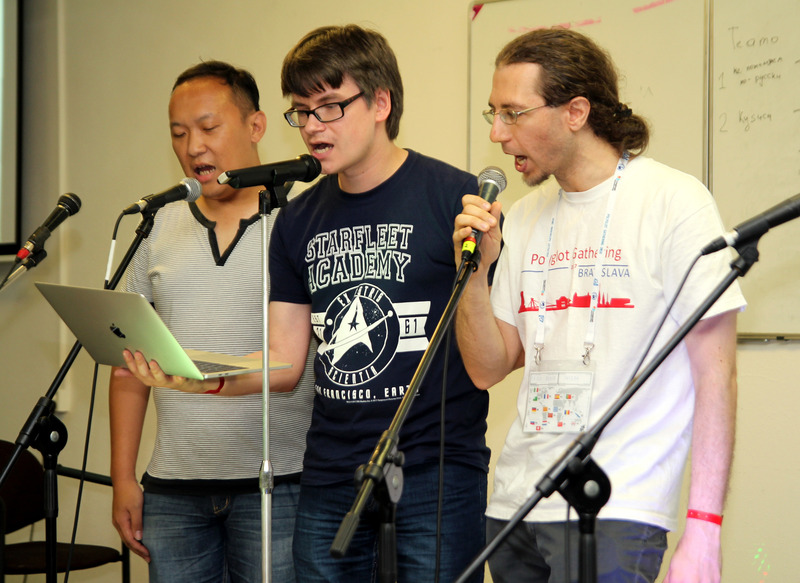 The Polyglot Gathering will take place for the 3rd (and last) time in Bratislava, Slovakia! It will take place from May 29 to June 2, 2019. 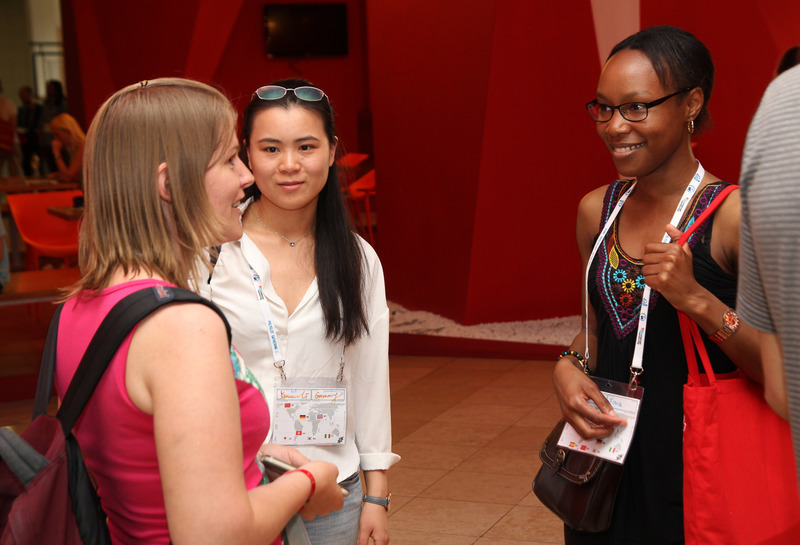 What is the Polyglot Gathering? The Polyglot Gathering is an informal event which takes places once a year and brings together polyglots (people who speak several languages) and language enthusiasts from all over the world. 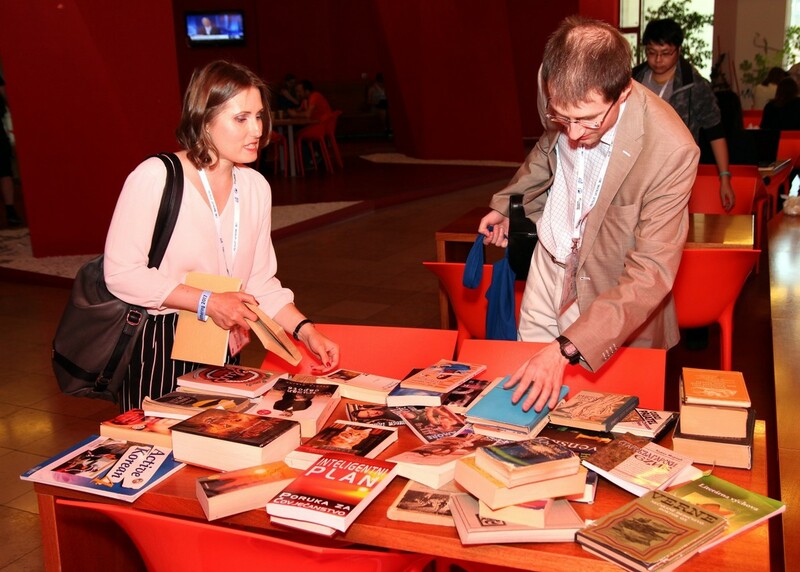 It is a five-day event with lectures, workshops and social activities for everyone who loves and enjoys languages. How many languages do I have to speak to attend? Your mother tongue! That’s it. There’s no requirement of speaking many languages. 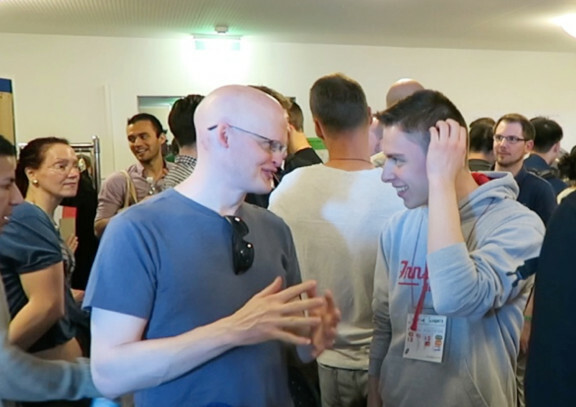 All that counts is your approach to them: if you love learning languages and you want to meet like-minded people who also love languages, the Polyglot Gathering is the right place for you! If you think learning languages is a great leisure activity and you are learning new and new ones in your free time, where else will you find 400-500 people with this passion? 🙂 It’s the best place to make like-minded friends. If you are a language professional, teacher, interpreter or translator, then the proactive networking and stratcom with a clear goal to leverage your paradigm shift in language learning and endeavour for thinking out the box without any impact on doing the heavy lifting, attending the Polyglot Gathering may help you to push the envelope and bring a win-win situation. And if you came here after you were searching for these buzzwords, hey, we got you and want absolutely to talk to you on the site! Bratislava is worth the visit. You can trust us. The beer is good and the beer is cheap. Do you need any more reasons to come? We have two airports: one is called Bratislava and the other one is called Vienna. And there is a train station with direct trains to Berlin, Prague, Vienna and Budapest. There is a castle with a splendid view over the city and the Danube, with Austria and Hungary on the horizon. You already speak Slovak, don’t you? Bratislava is a great place to practice your Slovak. 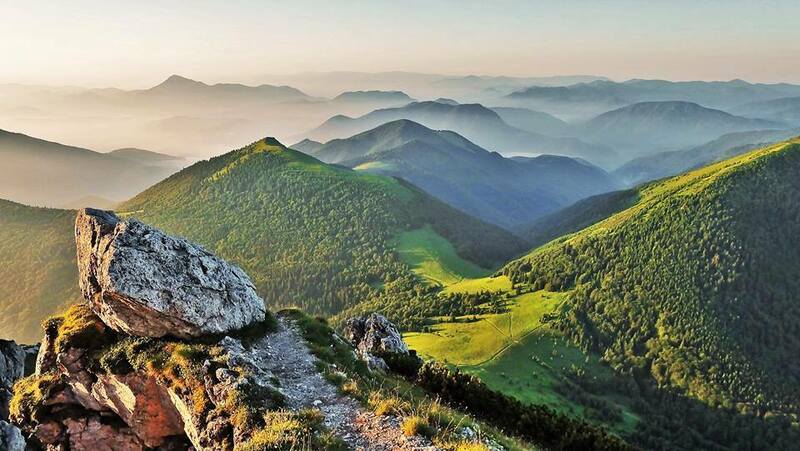 You’ll also hear the most balanced mix of Slovak dialects, not too soft, not too hard, not too slow, not too fast. And there are still so many words without vowels. 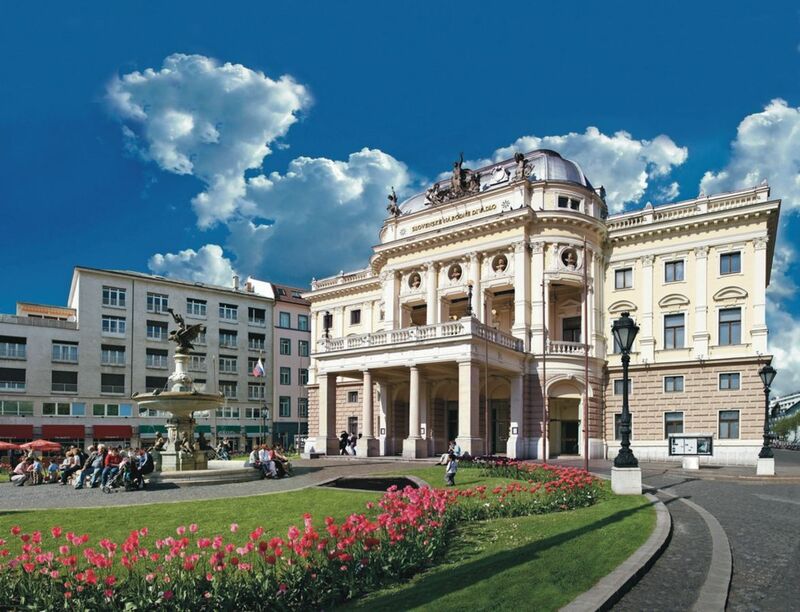 Travel around Central Europe: Germany, Czech Republic, Austria, Poland, Hungary are all in the Schengen Area, and there are no extra costs for phone and data roaming, which makes travelling much easier. And Slovakia has been using the euro since 2009. 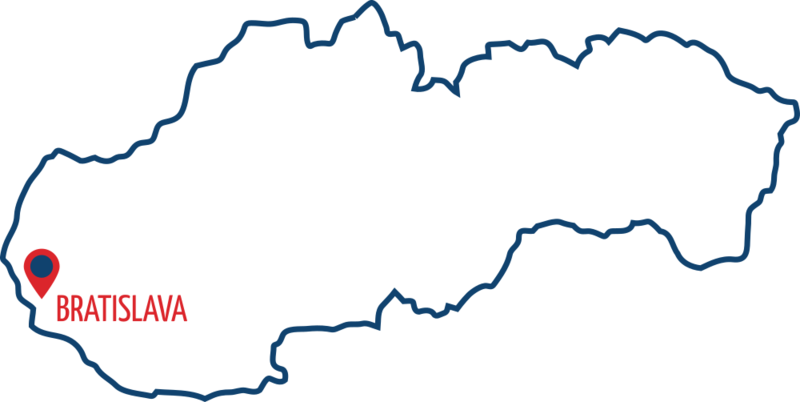 How are you going to notice that you crossed the Austrian-Slovak border? What did the participants say last year? 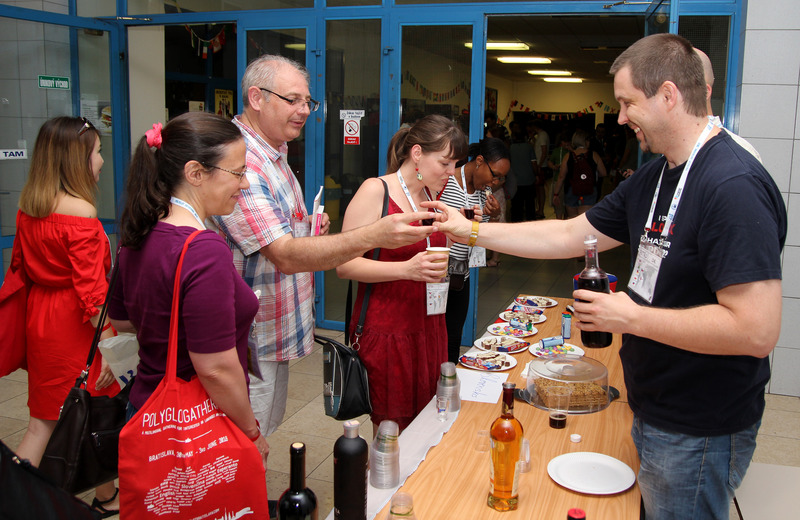 What do people do at a Polyglot Gathering? Who is this organized by? The founders of the event and main organizers of the first three editions (2014–2016) were Judith Meyer, Chuck Smith and Martin Sawitzki. 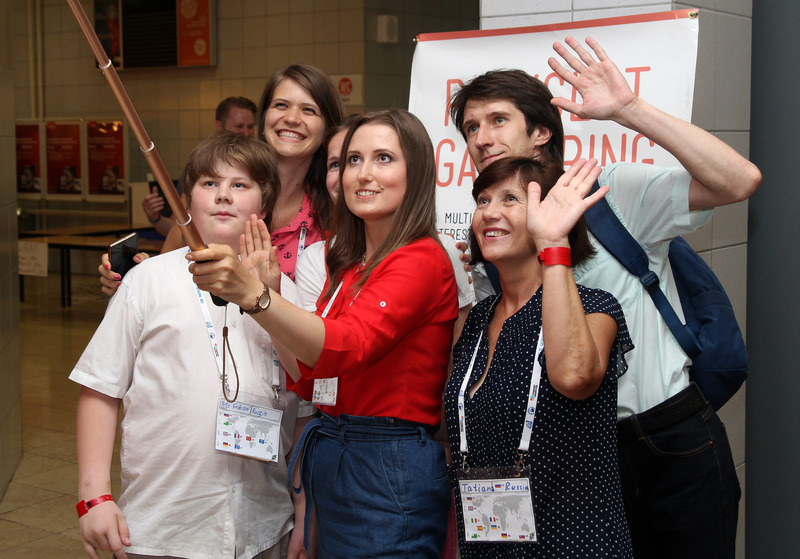 Afterwards, the Polyglot Gathering moved from Berlin to Bratislava, Slovakia, where it was held in 2017 and 2018 and will be held again in 2019. The Bratislava event is run by Peter Baláž from the E@I non-profit organization together with their great team taking care of the organization. © 2019 Polyglot Gathering 2019. Website and logo design by Webideas.